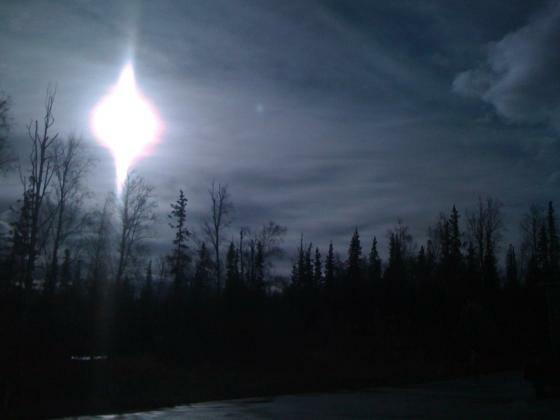 Ever wonder how high the sun is in Alaska at noon in early October? "Not too high" is the answer. As you can see, the sun isn't anywhere near straight overhead. My best guess is that it's about ten o'clock high, maybe a little lower.